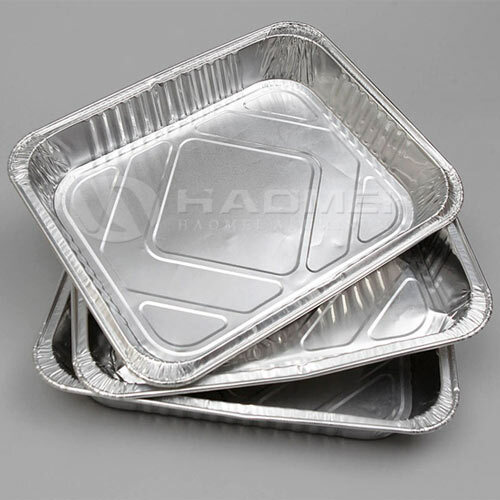 Haomei engaged in supply premier aluminium foil trays, disposable aluminium foil pans for food container pack use. With high quality manufacturing, and an extensive range of sizes available, there is a solution for any type of food service application. 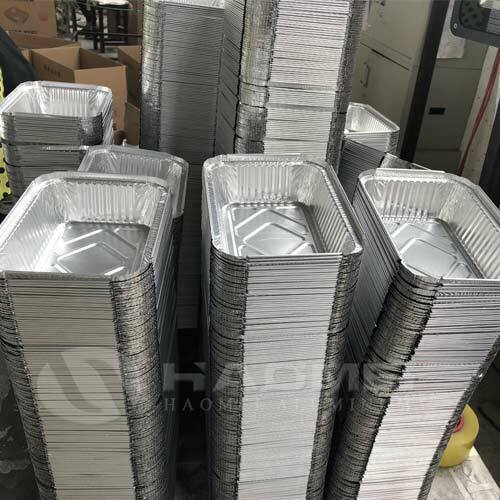 Based on the advanced production line, Haomei supplies different types of disposable aluminum foil food trays and pans with different sizes and designs. Meanwhile, we could help customers find better solutions based on market requirements. Our main customers are food service distribution companies, restaurant distributors, restaurant wholesale, aviation, disposable meal services and other food packaging companies. 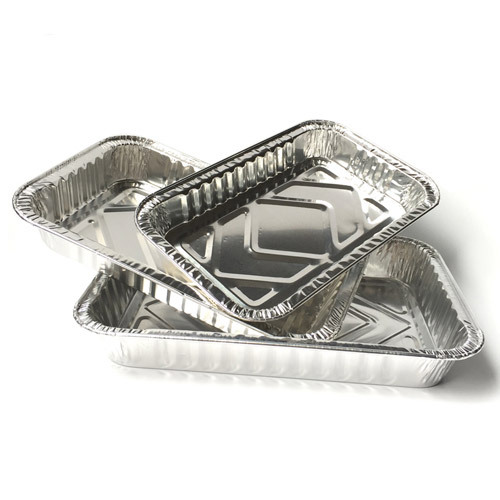 Specialized in disposable aluminum foil containers, Haomei can manufacture products based on strict guidelines for food packaging. We have made a long-term cooperation with many customers around the world. We convince that our price will be low for you and also the quality is superior! Logo Press logos according to clients’ requests. 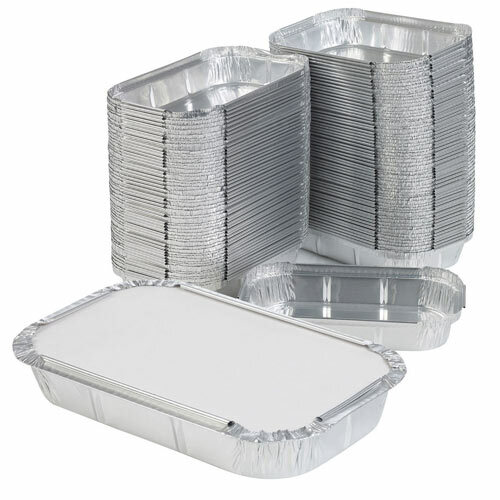 usage Fast Food / Supermarket, Baking, Food container/disposable meal box/disposable lunch box for airline, for hotel, restaurant, bakery, aviation. About product 1. High-temperature furnace products, exported to Europe and United States, Japan, etc. Deeply loved by domestic and foreign client, quality assurance.